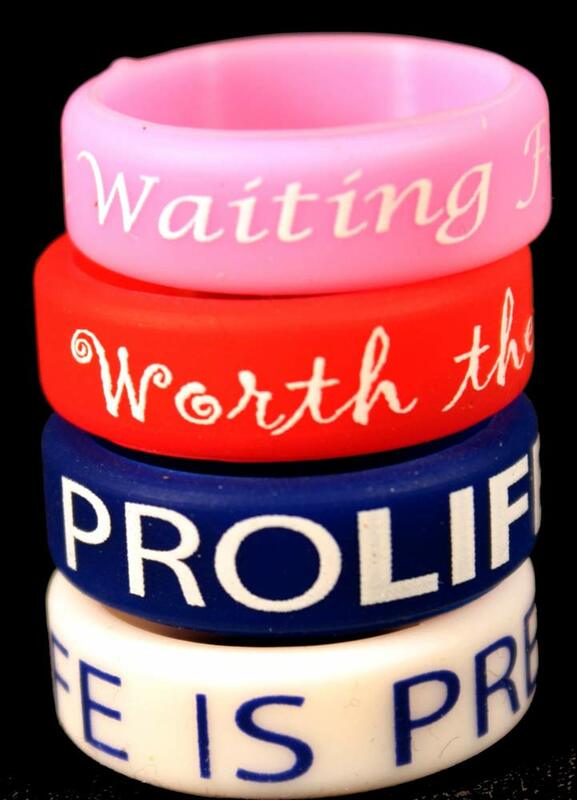 Description: Looking for something inexpensive yet meaningful to hand out? 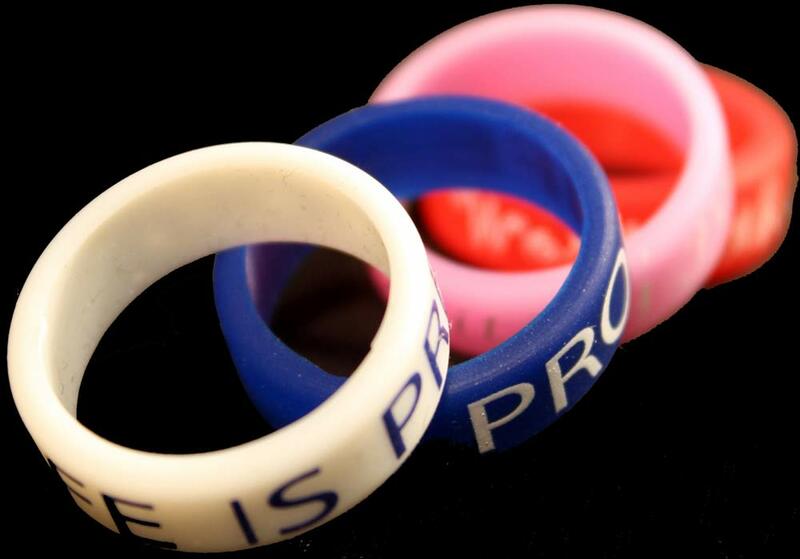 Our Pro-Life awareness rings are perfect! 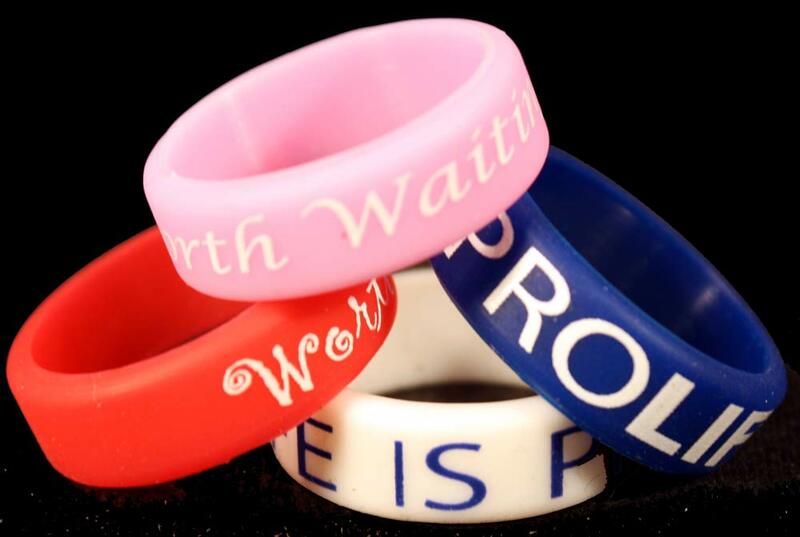 Designed to fit women's fingers, these are easy to read and are very stylish. 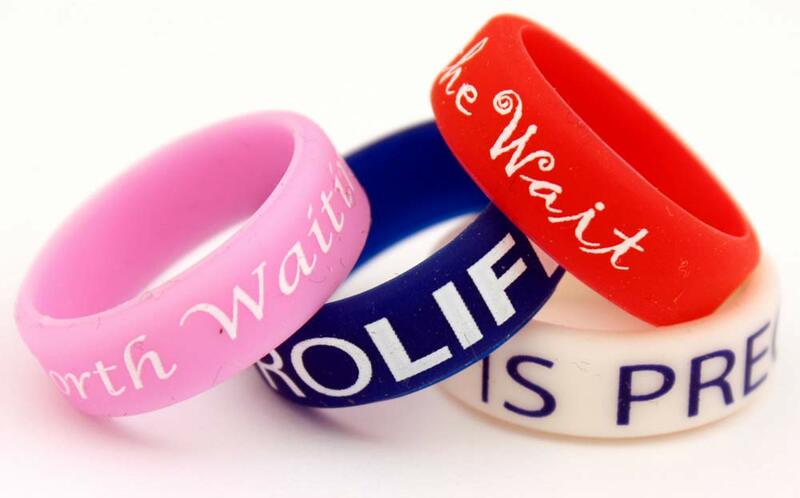 They stand out and make a statement-and are fun at the same time! 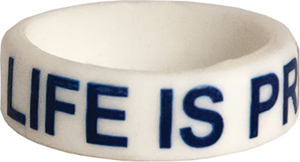 I have been wearing this product for 7+ years without removing it from my person. 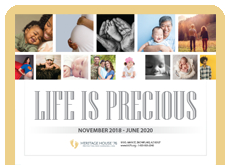 It is wonderful to be able to share information about Pro-Life.